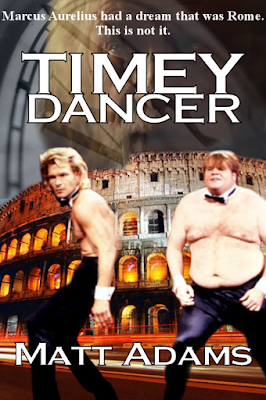 Inspired by a great little exchange in a Facebook post today, my brother, a friend, and I came up with a killer plot for a book: a Chippendale's dancer named Studicus must travel back in time to save Ancient Rome. 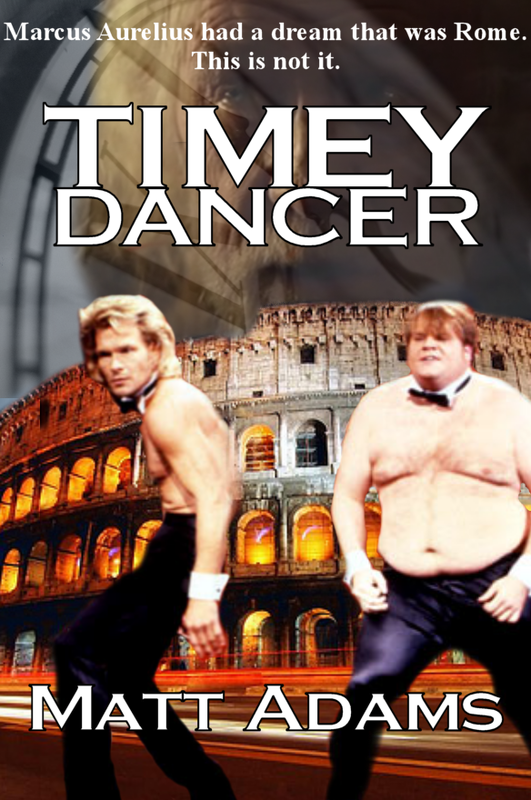 My friend came up with that hook, my brother came up with the title Timey Dancer, and I came up with the tagline, "Marcus Aurelius had a dream that was Rome. This is not it." So I took a few minutes today and dreamed up a cover for this book. I'll start the outline tomorrow.